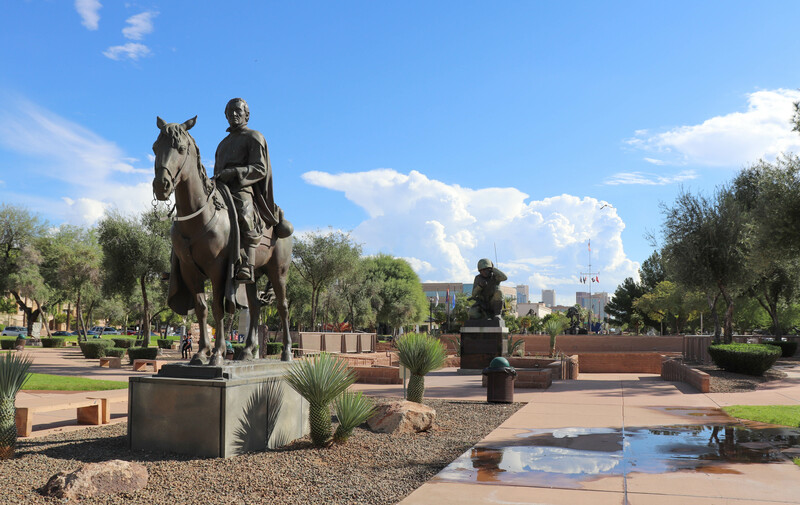 To wrap up October, I set off to explore another state – Arizona. This trip had been in the works since May, when I decided to throw in a mini mid-week fall vacation. Since Southwest had bargain fares for Phoenix, I decided to head for “The Grand Canyon State”. After arriving on my early morning flight, I was ready to start seeing everything that this desert city had to offer! 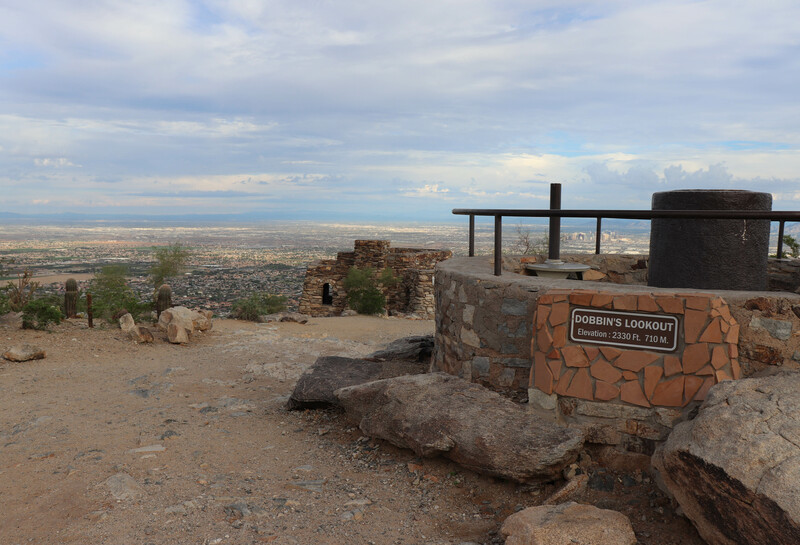 Arizona is known for its mountains, and so I decided that Dobbins Lookout, a scenic mountaintop observation point, would be my first stop. 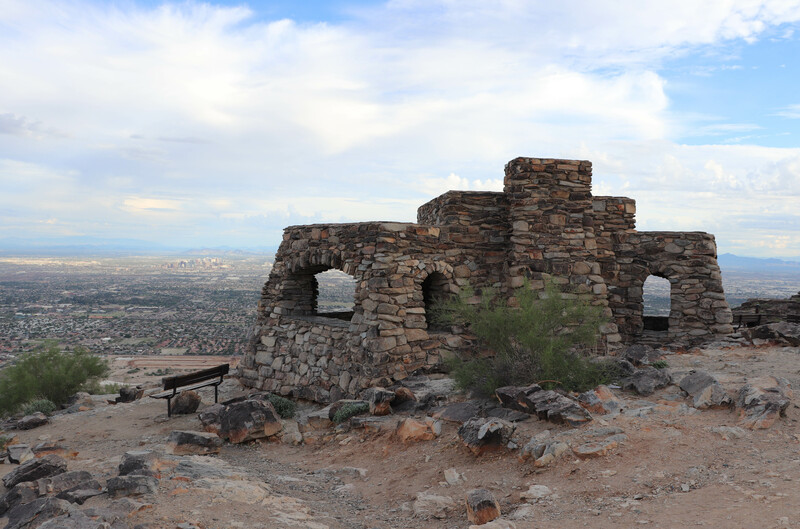 A part of South Mountain Park, one of the largest municipal parks in the country, Dobbins Lookout is the highest publicly-accessible point in South Mountain. The best part is that there is no hiking required – winding mountain roads take you all the way up to the summit, clocking in at an elevation of 2,330 feet. Look at those views! A stone ramada made for a great place to hang out, while also providing shelter from the direct sun in those hot summer months. Due to it being a weekday, there weren’t a lot of other people around. The lack of noise made it a pretty serene place to be, and although the temperatures were slowly starting to climb, the lack of humidity kept it relatively comfortable. 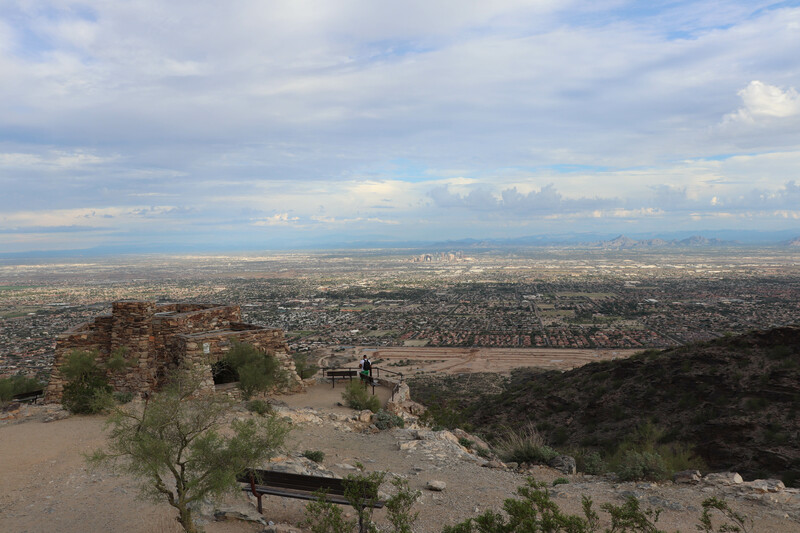 Dobbins Lookout is one great spot to see Phoenix and the Valley of the Sun. 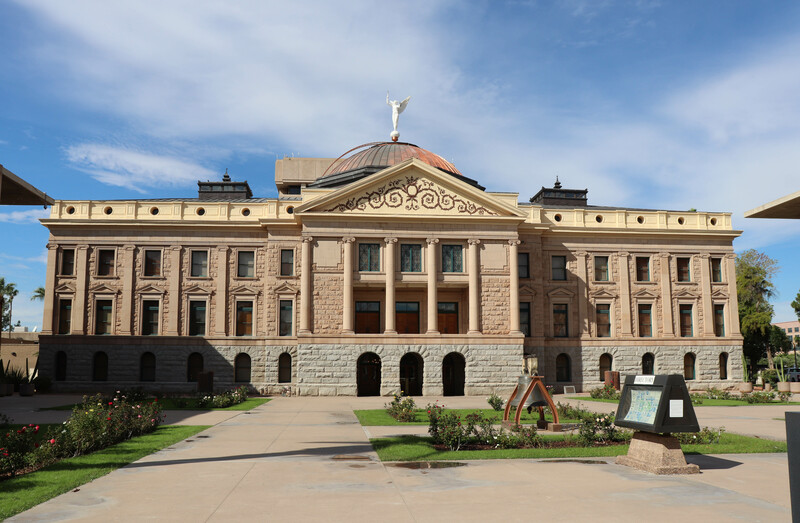 After enjoying the sights for about an hour or so, it was time to explore the city, starting with the Arizona State Capitol. Located close to downtown, the state capitol complex is unlike any other I’ve seen, with a design similar to the National Mall in Washington, D.C. Unlike D.C. though, there was an abundance of free parking! 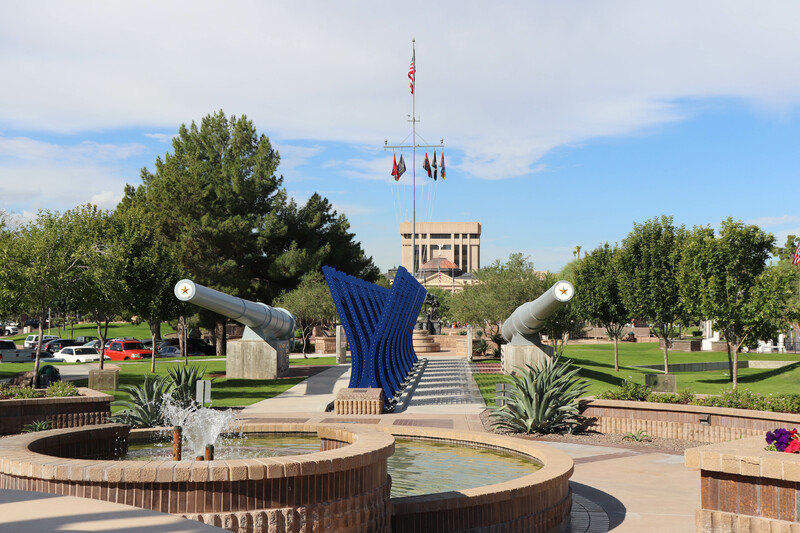 Making up Arizona’s capitol complex is the Bolin Memorial Plaza, with the capitol museum and executive tower in the background. 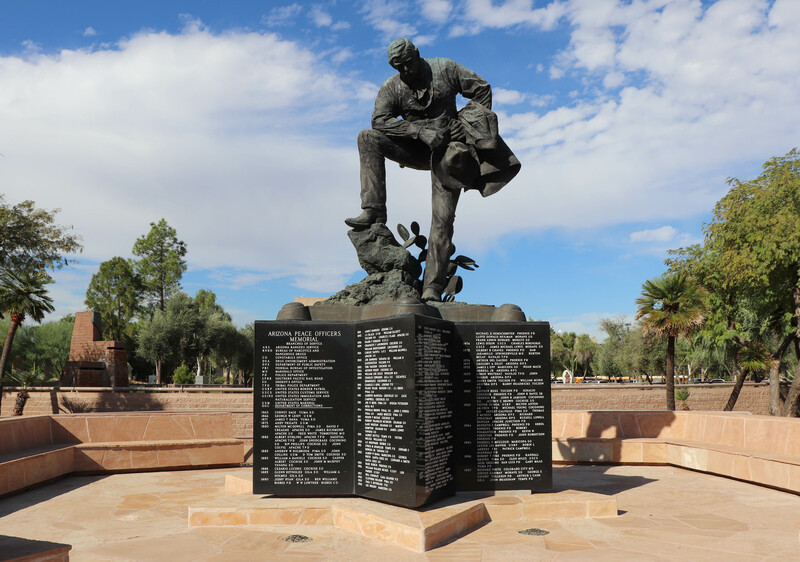 Starting off with the Wesley Bolin Memorial Plaza, different memorials paid tribute to military veterans, law enforcement, and firefighters, just to name a few. 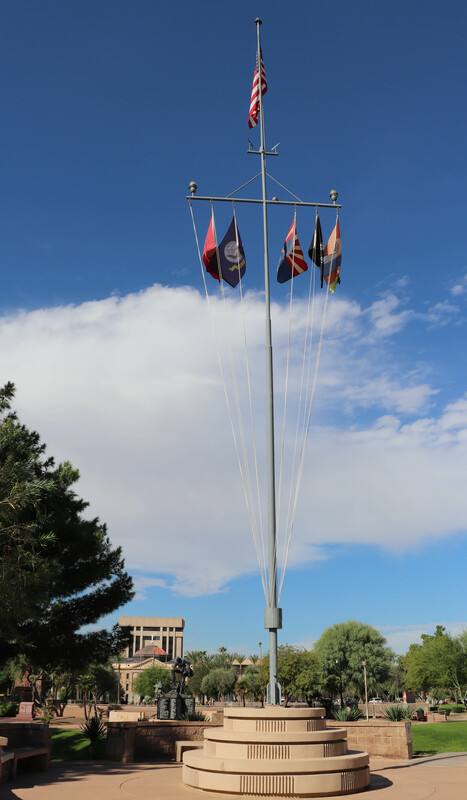 There was also a 9/11 memorial, and other various markers commemorating the different wars the U.S. has been involved in. 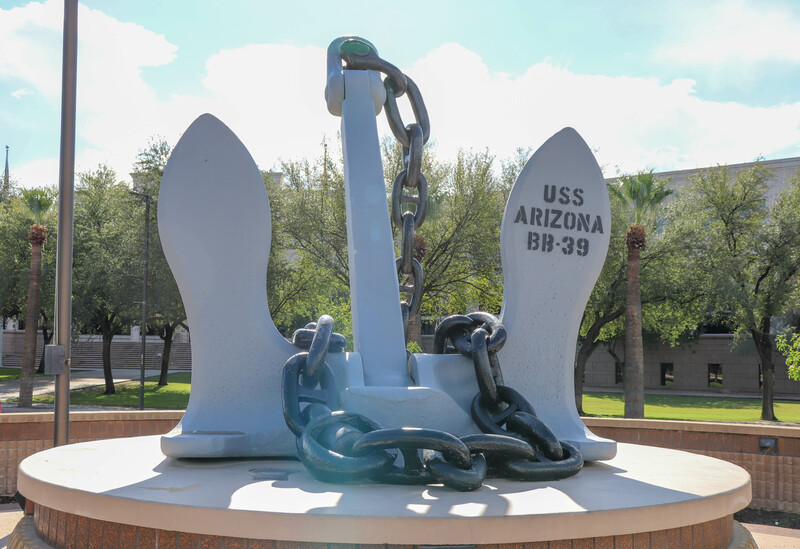 A mast and anchor from the USS Arizona, which was one of the ships bombed during Pearl Harbor, was also on display here. Before heading into the capitol museum, I stopped by the House and Senate buildings flanking it. 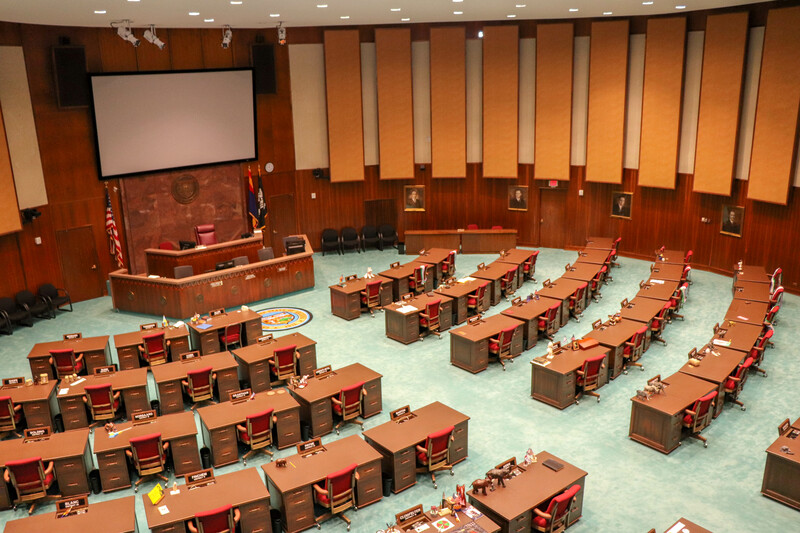 Both were open to the public, and it was pretty neat seeing the legislative chambers where the laws of Arizona are made. 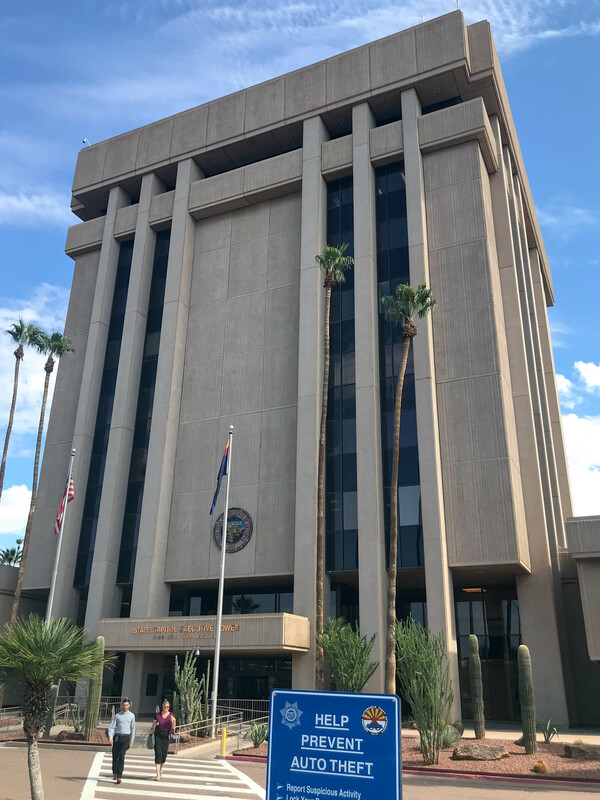 The capitol museum, formerly the working capitol building until 1974, was well laid out and allowed me to get a good understanding of Arizona’s history. 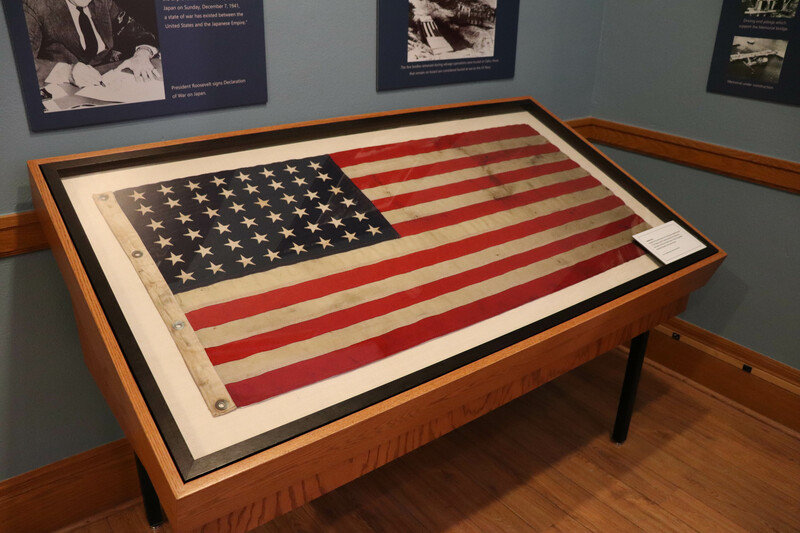 Different exhibits on the four different floors talked about various events in the state’s history, ranging from statehood to a boxcar full of gifts received from France. On that day, it was pretty busy, with a few groups of schoolkids coming here for a field trip. 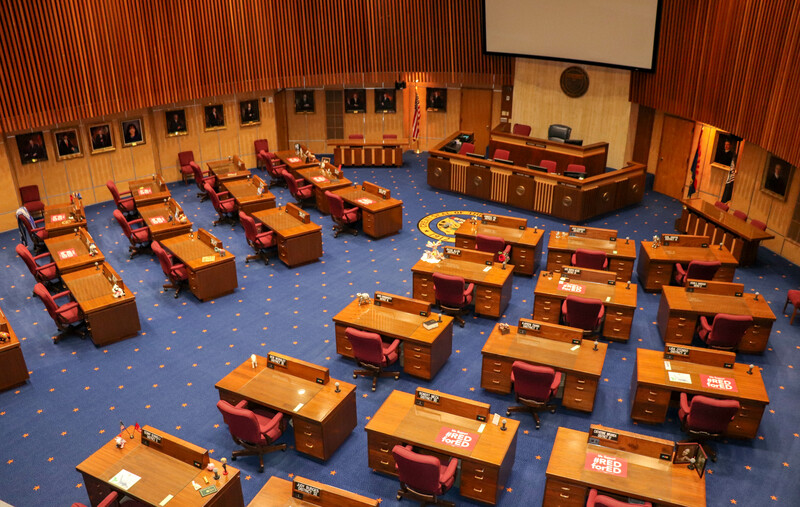 The Arizona State Capitol Museum. 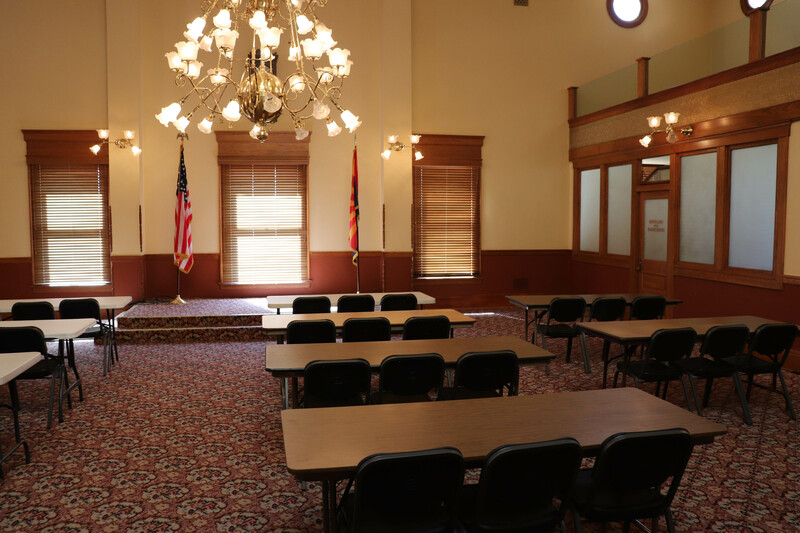 The majority of the rooms were open for visitors to explore, including the old legislative chambers, the governor’s office, and Supreme Court chambers once used to keep Arizona running. 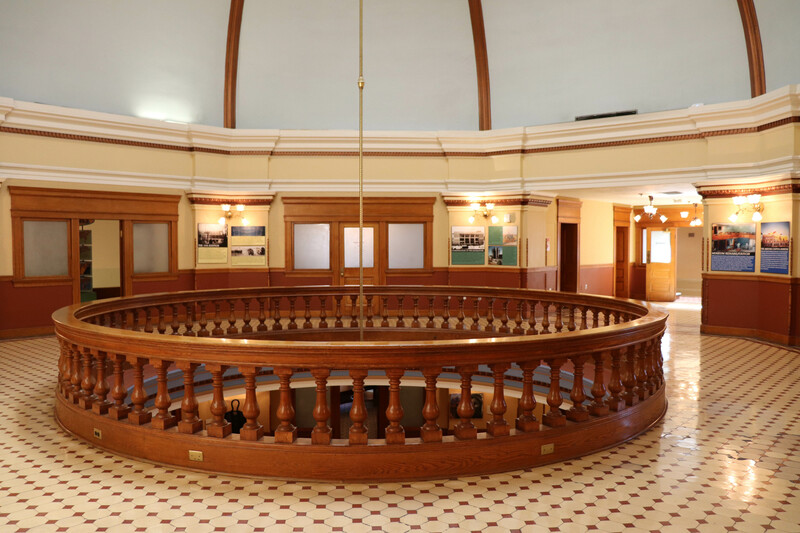 The historic Arizona Supreme Court chambers. The capitol museum had a rotunda design, like most state capitols. However, I found it to be pretty small. 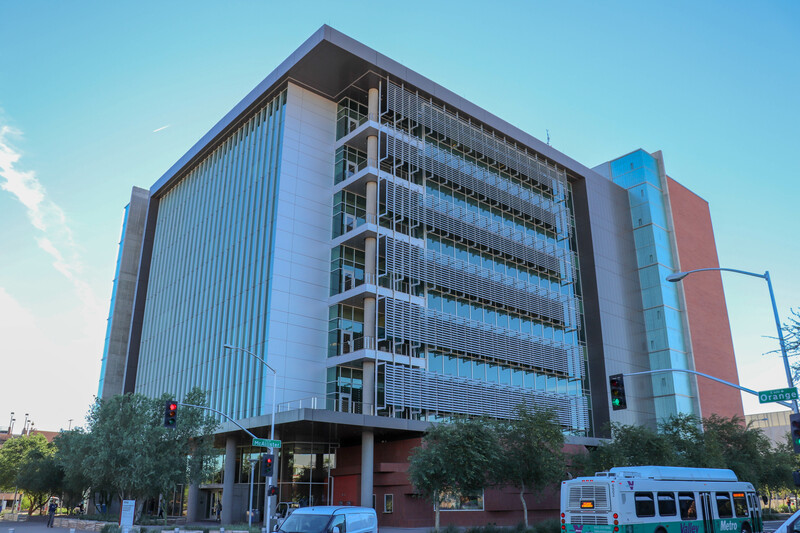 It wasn’t just me, as one of the main factors that caused the state to build the present day Executive Tower was overcrowding of the historic capitol. Before leaving, I briefly looked around the Executive Tower. 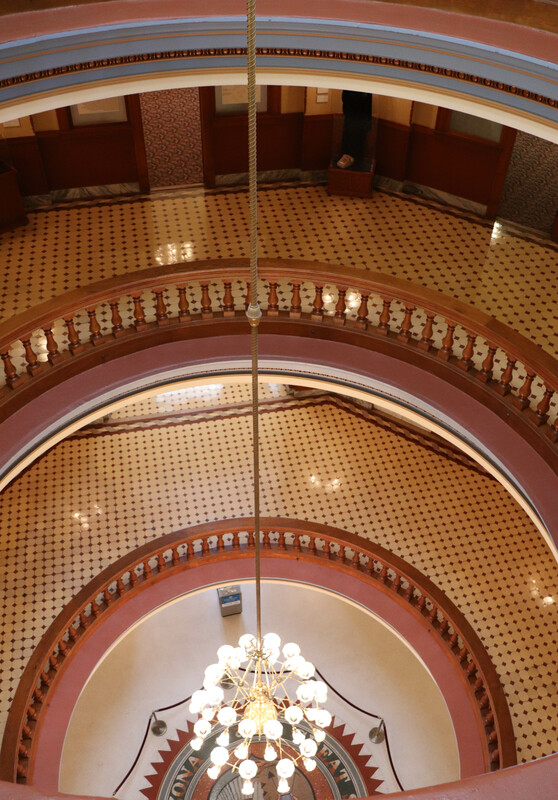 It really is as plain on the inside as it is on the outside – nothing but state employees walking around a rather un-appealing lobby. Definitely not worth the hassle of having to go thru security. The Executive Tower, where the Governor and other state officials office out of. 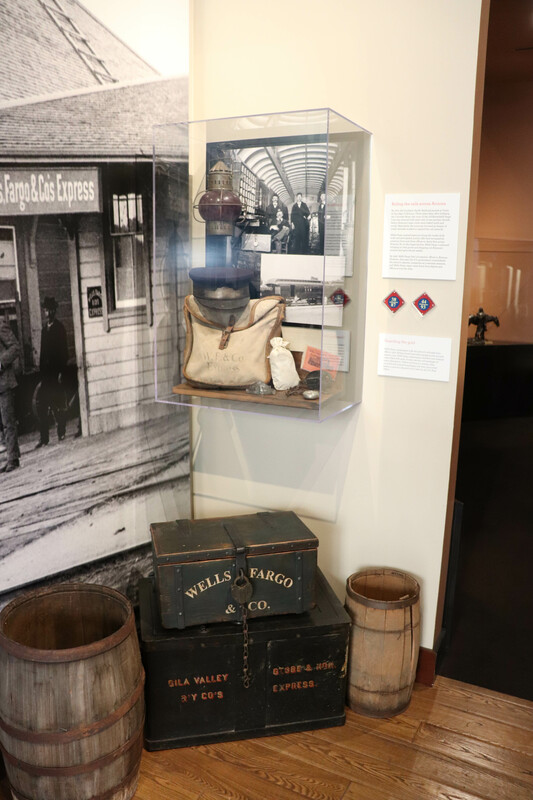 After lunch was a journey to the days of the Wild West, with a visit to the Wells Fargo History Museum, located in the heart of downtown. 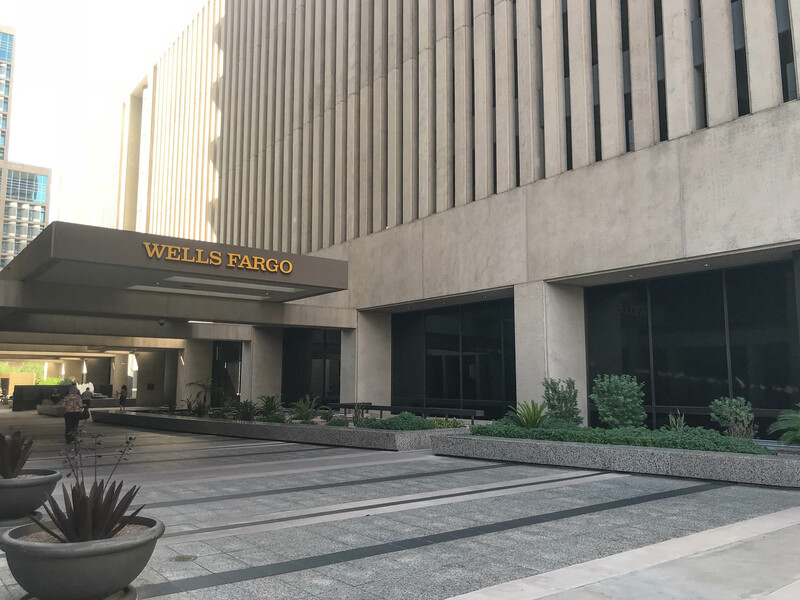 The Wells Fargo Plaza, which houses the Wells Fargo History Museum. 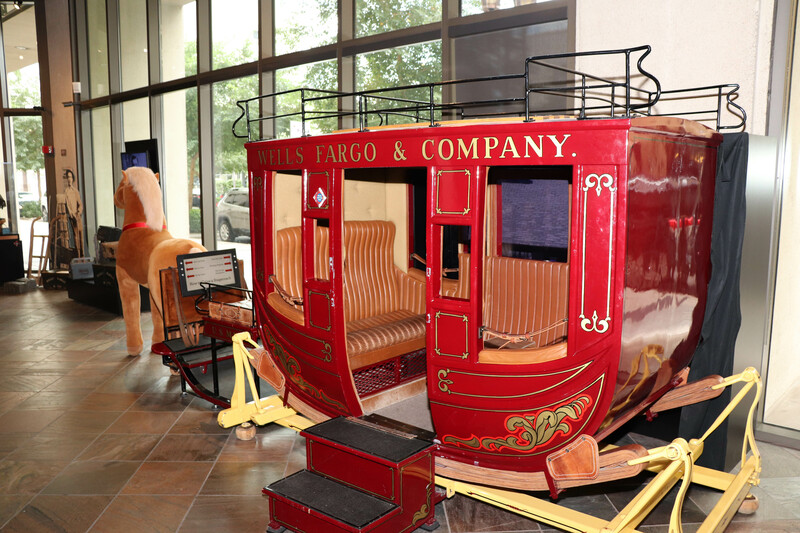 As the name implies, the museum is owned and run by Wells Fargo. Admission is free, although they are closed on the weekends and bank holidays. 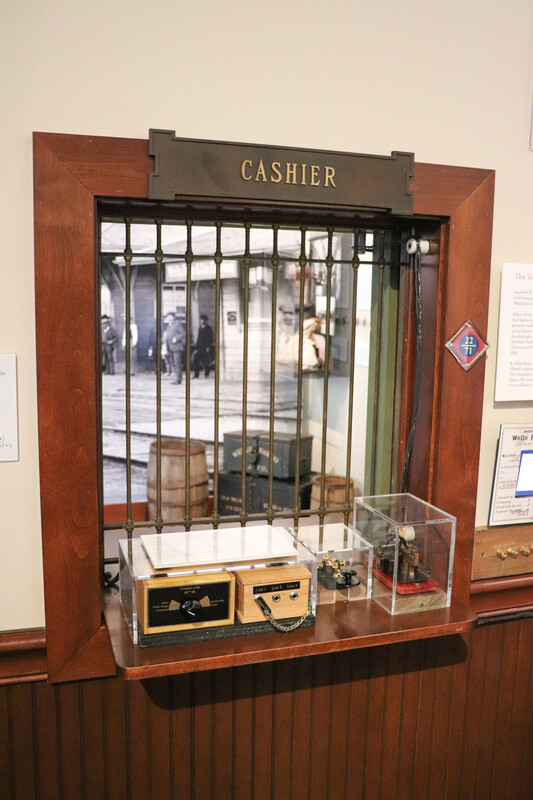 Here, you can learn the story of the company’s history, and how they started from hauling gold and other precious metals to being one of the biggest banks in the nation. 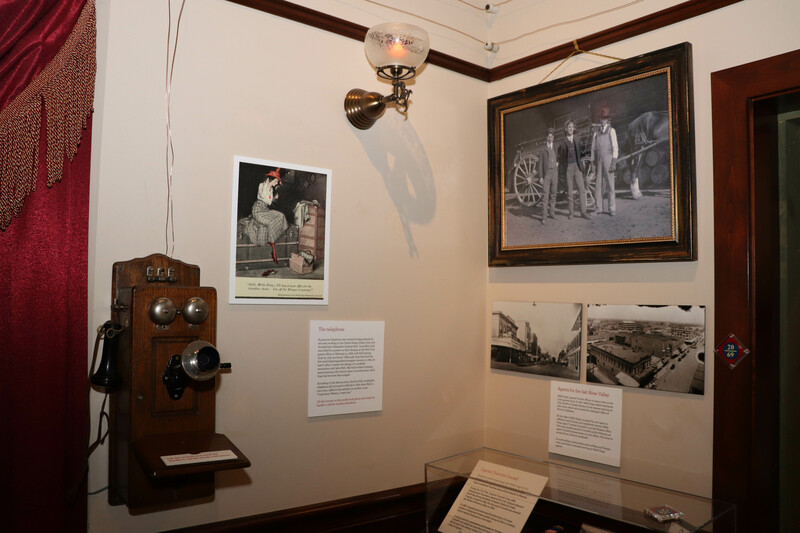 In addition to different artifacts and relics from their early days kept in glass displays, there were also several interactive exhibits, perfect for families with kids. 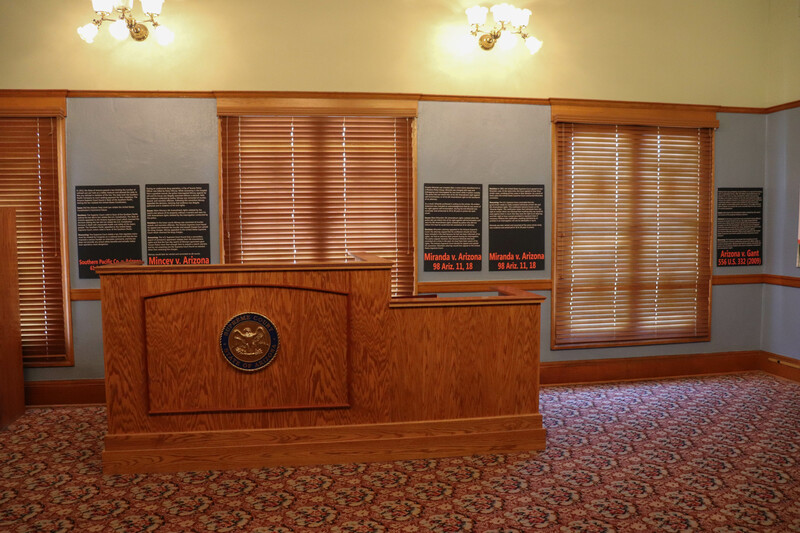 Here, you get to ride on a stage wagon, get your picture taken at two photo booths, and try your hand at Morse code. 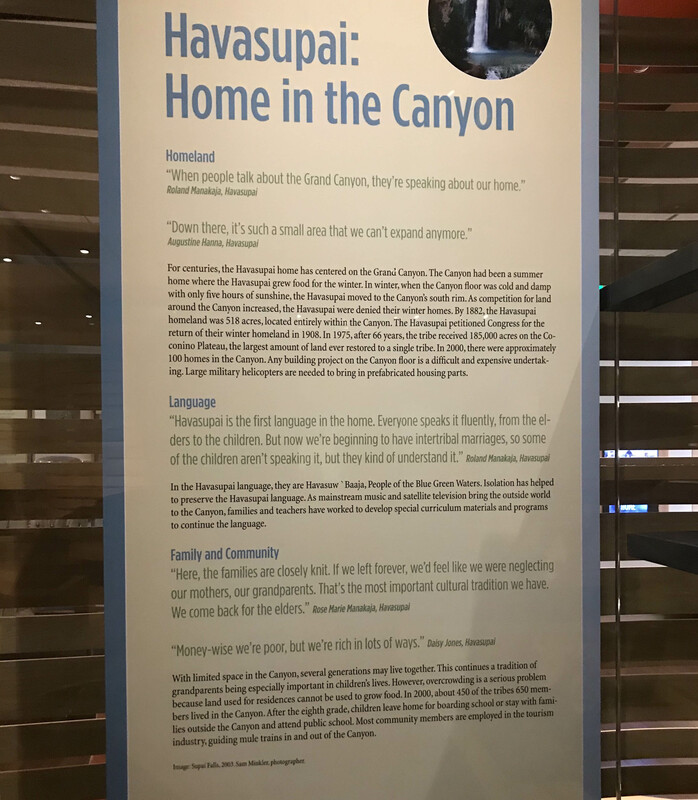 After learning about Wells Fargo’s connection to the American Southwest, I set off to visit another museum, this one talking about the Native American population here in Arizona. 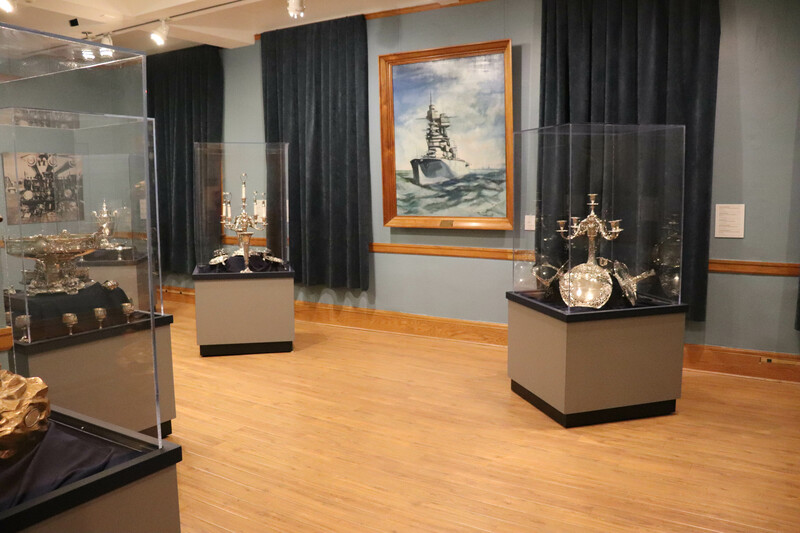 At The Heard Museum, all sorts of artifacts related to American Indians are exhibited, from rows and rows of pottery to different pieces of art. Due to copyright issues, I barely took any photos. However, this is a museum that’s worth seeing, especially if you are into art or Native American culture! With two stories and over 40,000 items, the Heard is the largest private museum dedicated to exhibiting all things Native American. All-in-all, it was an interesting hour-and-a-half experiencing the culture and story of the indigenous peoples. 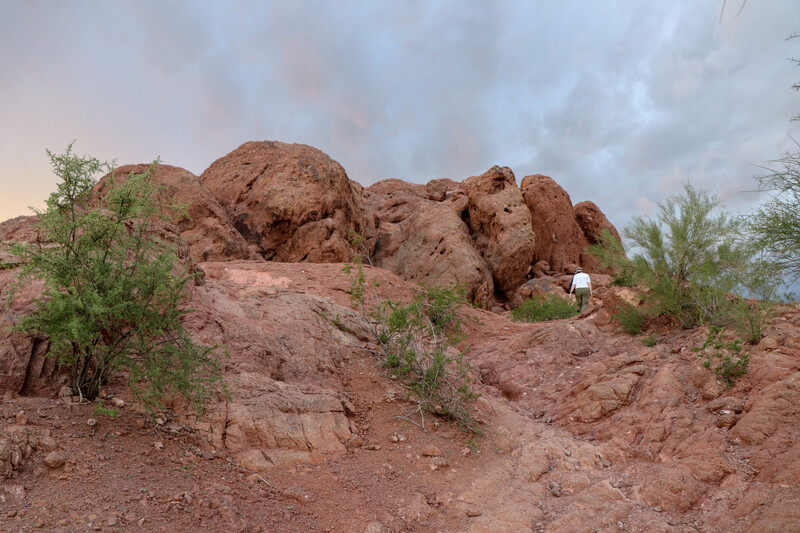 With the sun setting soon, it was time to head to my last stop of the day, the Hole-in-the-Rock at Papago Park. One true geological marvel, it literally is…a hole in the rock! 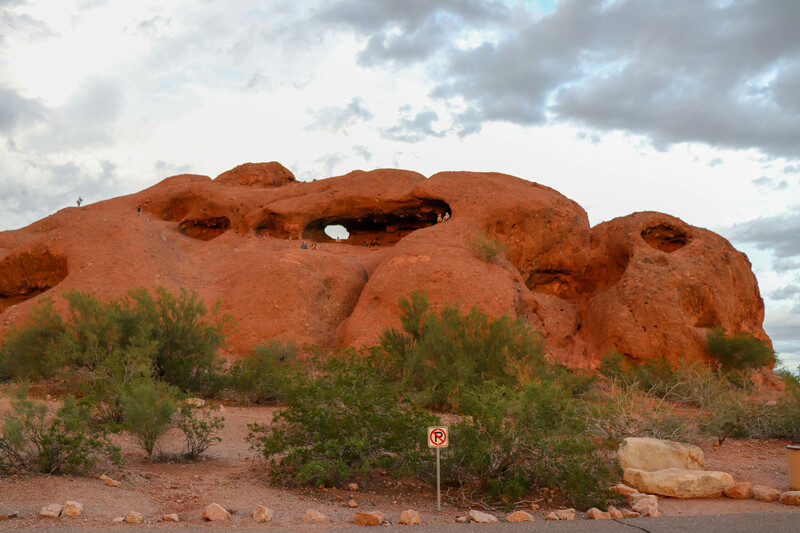 The Hole-in-the-Rock at Papago Park. 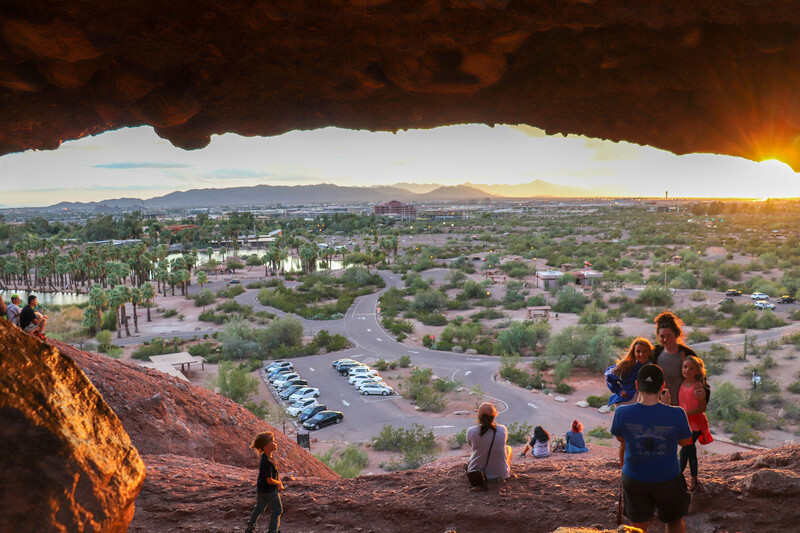 One of the most popular places to watch the sunset here in Phoenix, this giant rock formation was created by the forces of erosion over millions of years. Early indigenous inhabitants used this hole to mark the different seasons and positions of the sun. To get up to the hole, a short hike is involved, with different rock formations and man-made stairs leading you all the way to the top. The view while hiking up. The hike up took around 7 minutes, although I’m sure more experienced folks can ascent much faster since it’s not a steep elevation by any means. From there, I joined others watching the Arizona sunset. After picking a comfortable spot, I spent around 30 minutes up here, taking in the beautiful scenery. 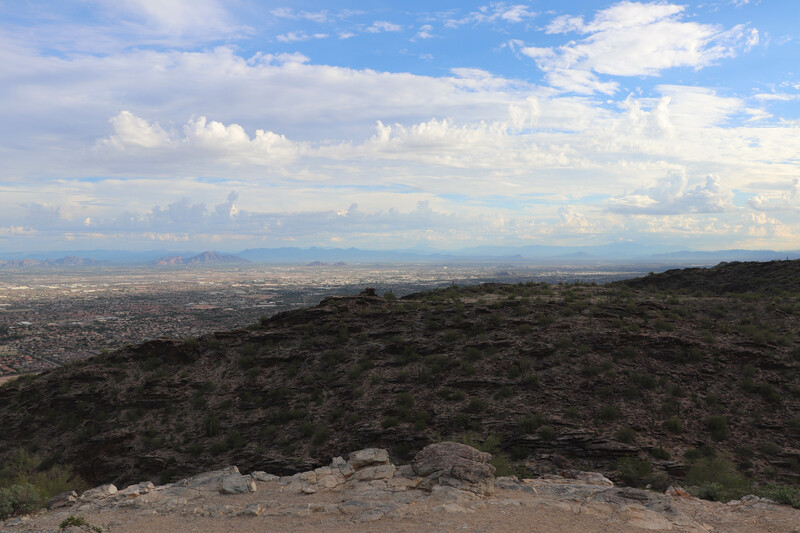 There was some rain that had begun to fall on the drive to Papago Park, which luckily had stopped by the time I began my ascent. Seeing some dark clouds in the distance, I decided it was time to get back down before the rain moved back in. It took me around five minutes for the descent, and I was ready for dinner and wrapping up the day after that. 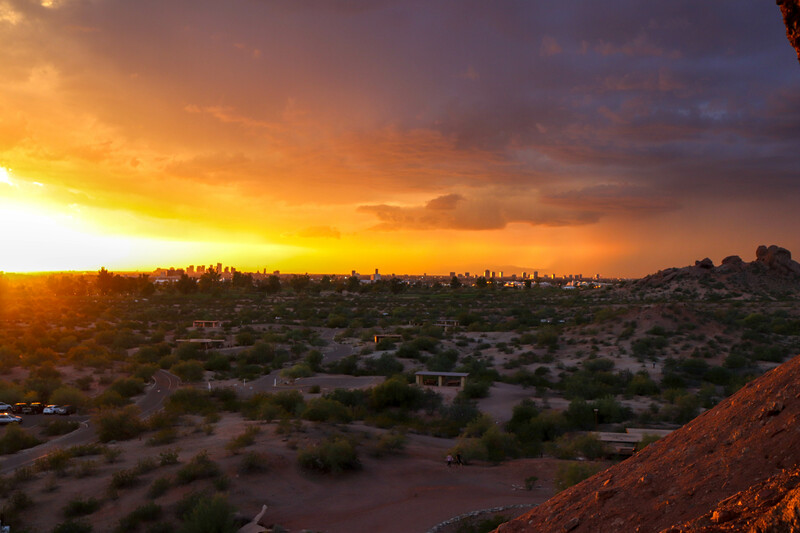 The beautiful sunset with downtown Phoenix in the background. It was a successful and fun first day here in Arizona! After breakfast the next morning, I was ready to start another day’s worth of exploring. 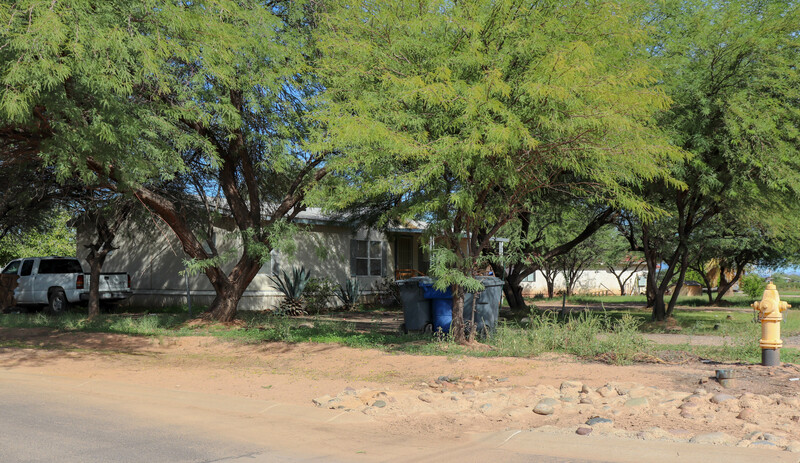 Yesterday I had gone to see the stuff within Phoenix, and today I wanted to hit some spots in the suburbs. 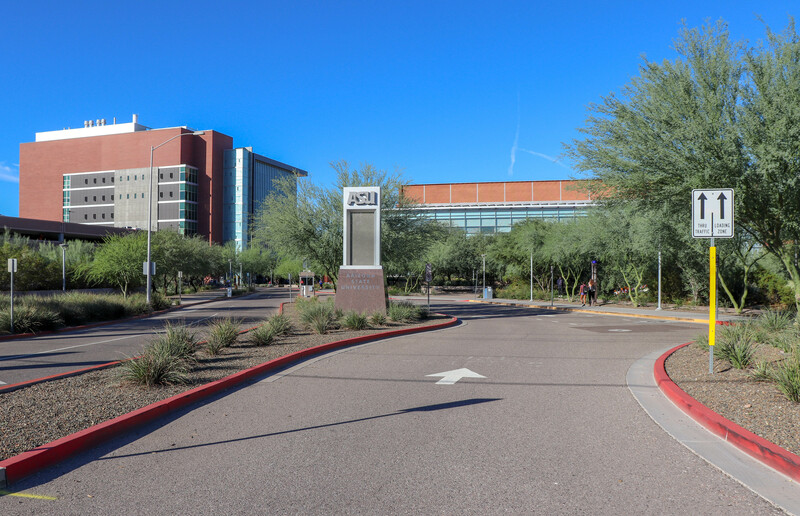 Universities are someplace I usually visit in every city, and so I stopped by Arizona State University, located in Tempe. 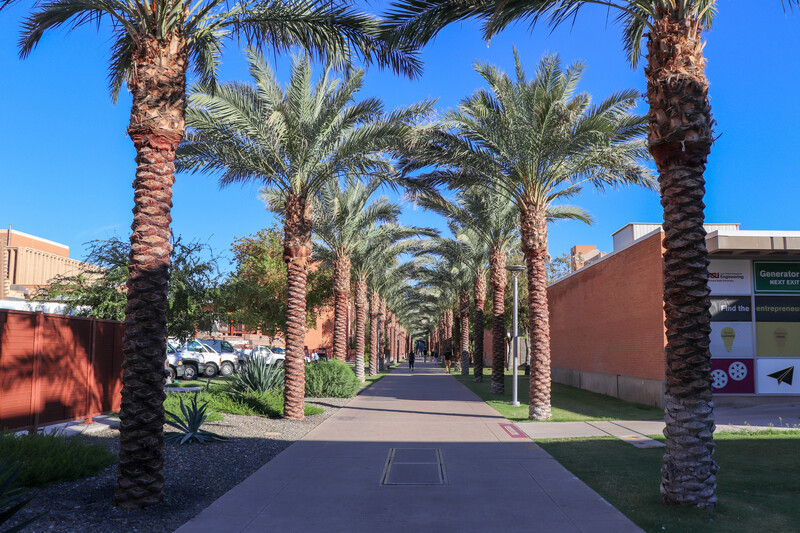 The entrance to Arizona State University. Parking my car in one of the pay-per-hour covered garages, I spent close to two hours here, checking out the various buildings that made up one of the largest public universities in the nation by enrollment. Most of the buildings were pretty modern, and reminded me of my school, UT Dallas. 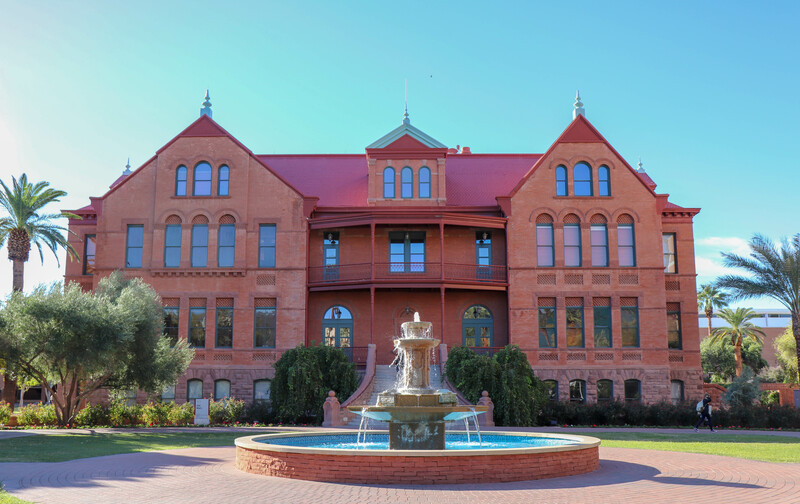 The exception to that would be Old Main, the first building constructed at ASU back in 1898. 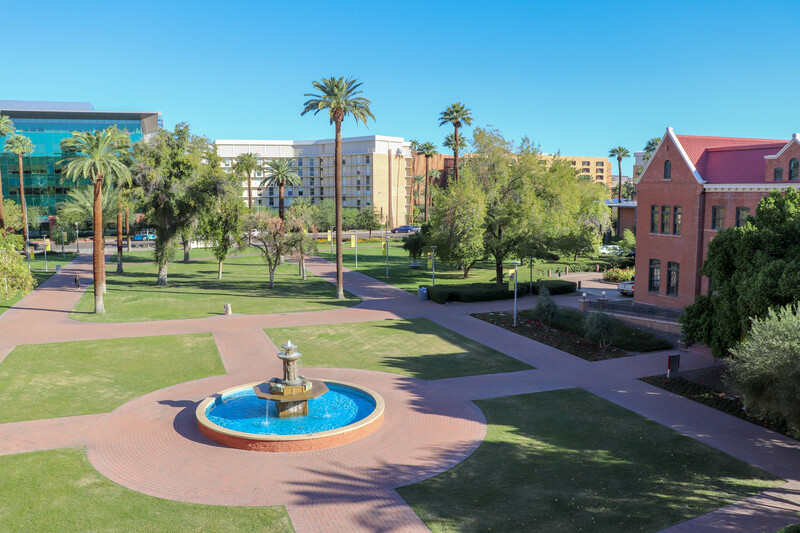 Old Main, used by the alumni association, is open to the public and welcomes visitors. The lady that greeted me gave me a brochure, which detailed a self-guided tour thru various rooms like the historic auditorium. Unfortunately, most of these rooms listed were closed off. However, the second-floor balcony was open, providing a great view of University Drive. 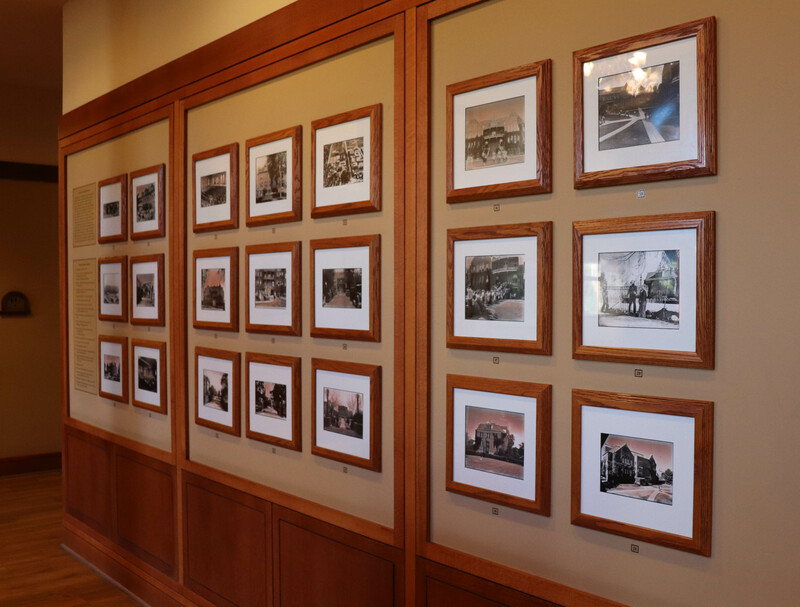 Photos show different historical milestones here at ASU. After this short tour was over, I continued exploring the campus. I happened to walk into a random building when I discovered a room with a glass observation window. 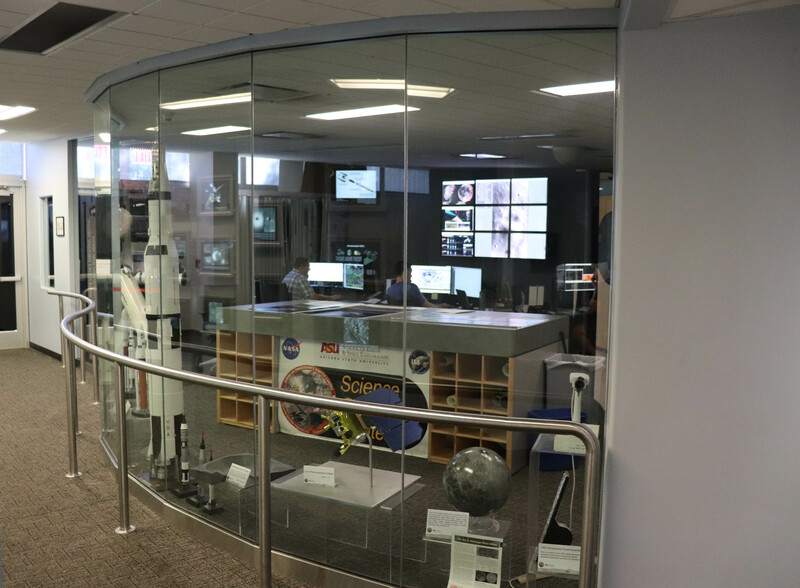 It turned out that this was the operations center of the Lunar Reconnaissance Orbiter Camera, capturing the surface of the Moon in a partnership with NASA. 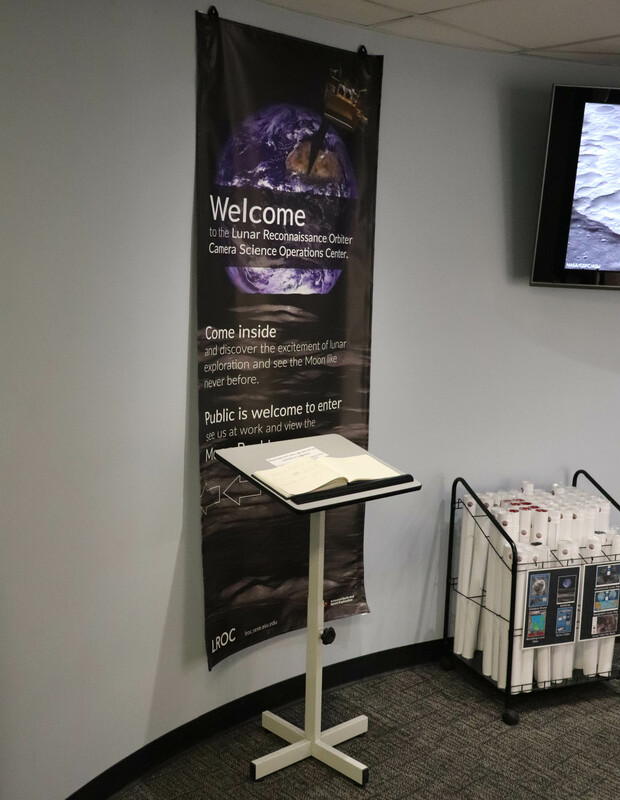 There were free posters, postcards, and other small souvenirs that were placed by the guest book for visitors to take. Definitely unique! Finishing up at ASU, I stopped by several other places on campus, like the Memorial Union and the W.P. Carey School of Business. Much like what I had seen before, they were new and modern. 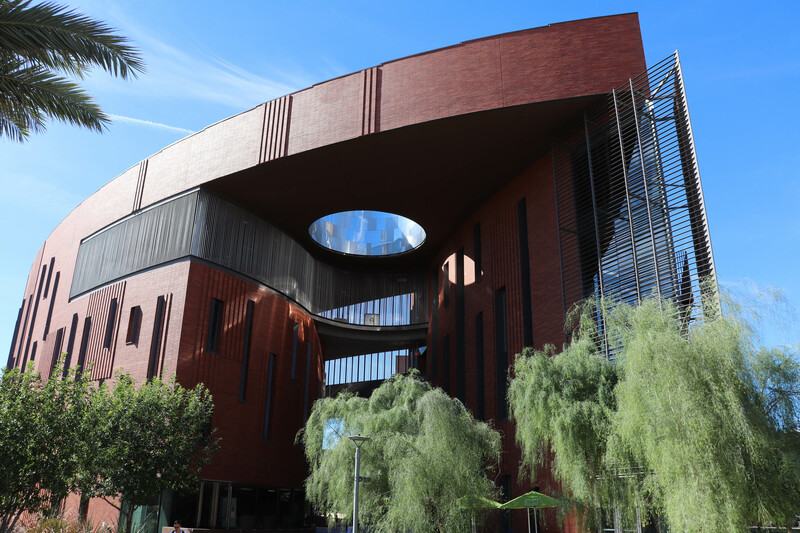 The Memorial Union, ASU’s student union. 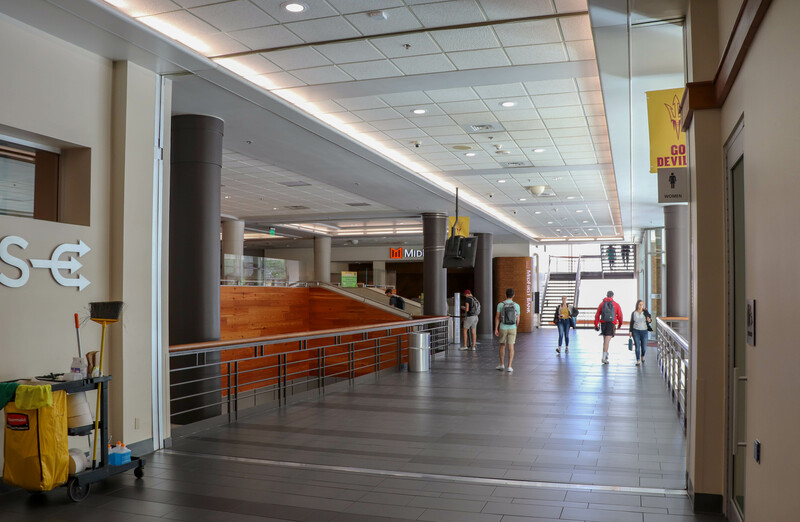 On a weekday morning, it was pretty busy with students studying, visiting different offices, or grabbing some Starbucks. 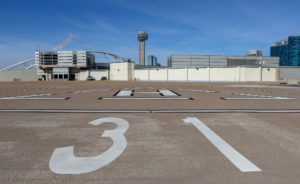 The W.P. Carey School of Business. 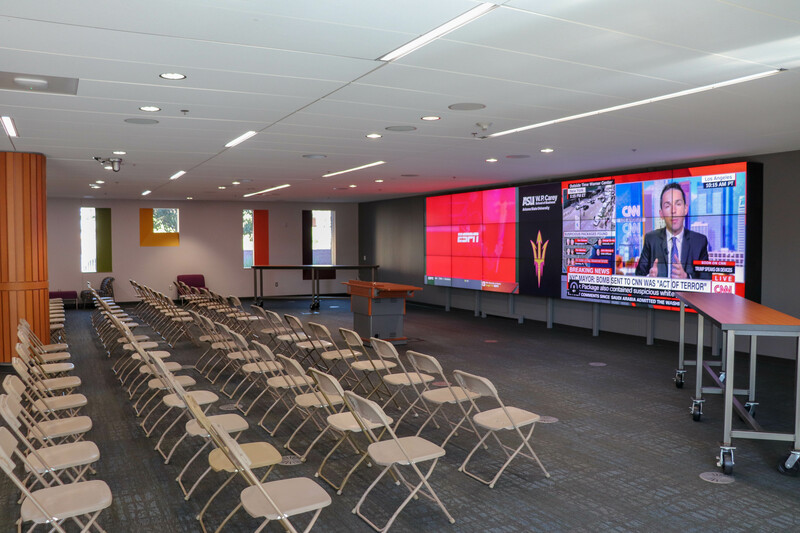 A state-of-the-art video wall located inside the business school. 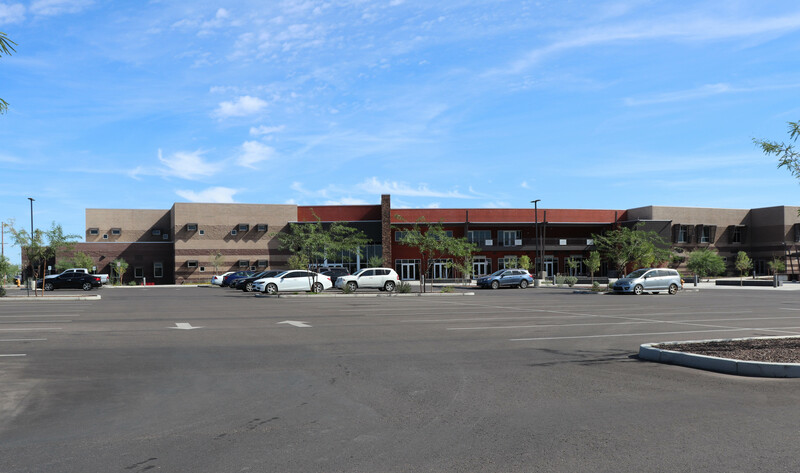 In the afternoon, it was time to get a real-world look into the lives of Native Americans, with a visit to the Salt River Pima-Maricopa Indian Community, located in Scottsdale. 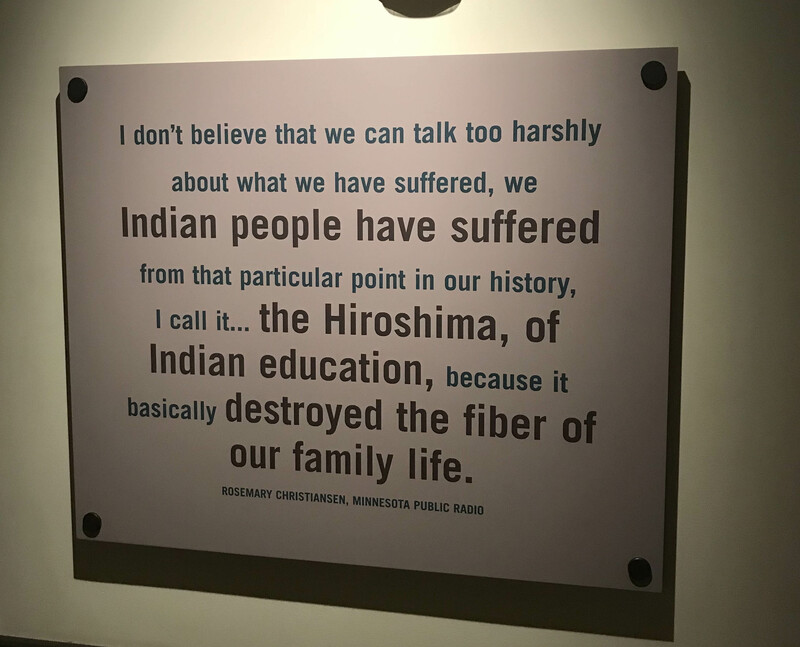 Having watched various documentaries of the living conditions on many of the nation’s Indian reservations, I was curious to see firsthand how good or bad these communities were. After driving around for a few minutes and seeing mostly barren land, this ominous sign greeted me, a reminder of the substance abuse problems present. 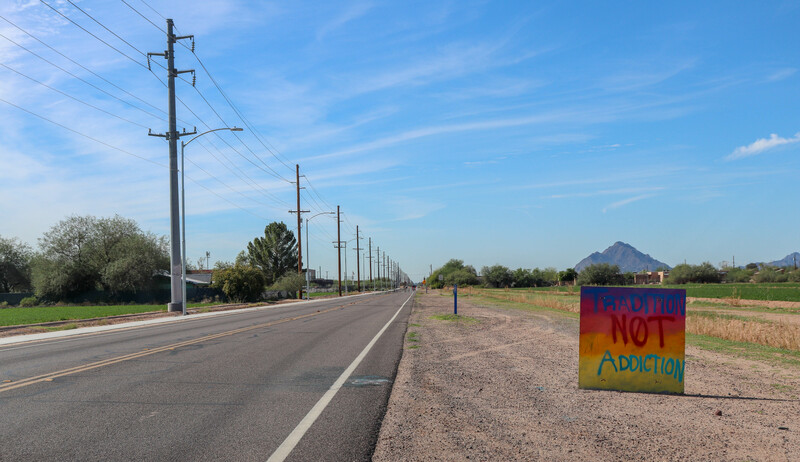 The sign reads “Tradition not Addiction”. 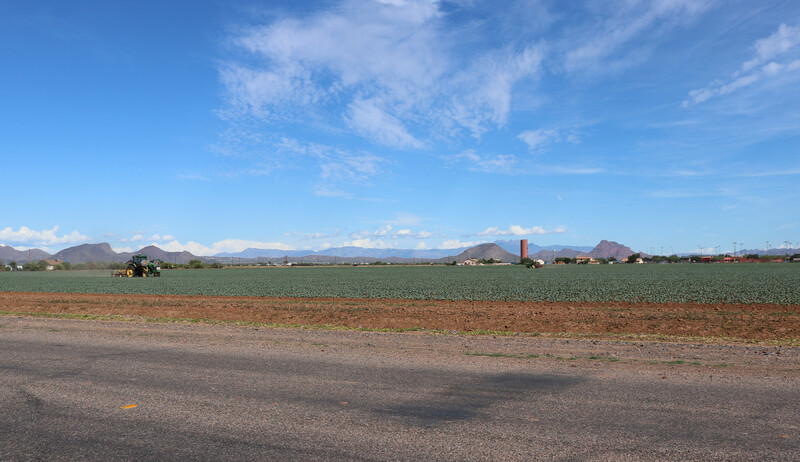 Not all of the roads here were paved, and there were some crops being grown in fields within the reservation. Offices used by the tribal government were relatively modern. I didn’t go inside, but they reminded me of my visit to the Choctaw Nation in Durant, Oklahoma. On the other hand, a lot of the houses here were in less-than-ideal condition. 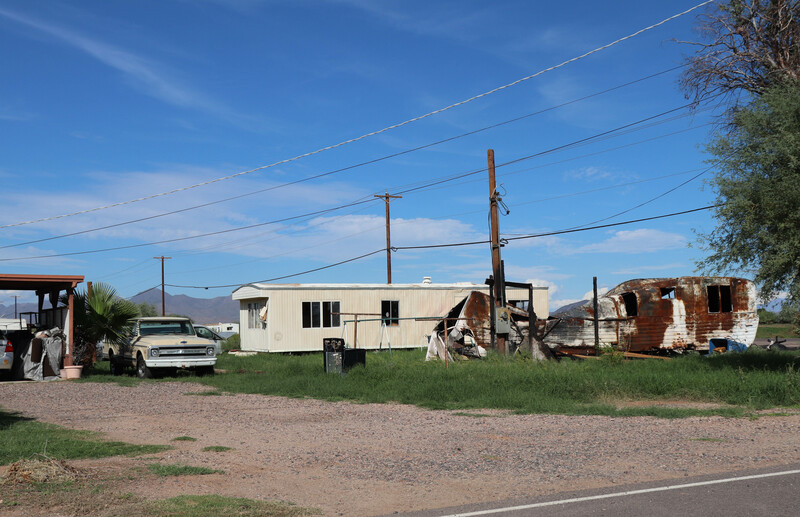 Unfortunately, the landscape of the community appeared deserted and run-down in general. Seeing how the Native Americans live today was a real eye-opener. Problems like alcohol and drug abuse, domestic violence, and suicide are prevalent amongst this group of people, and real change is needed so that conditions improve. 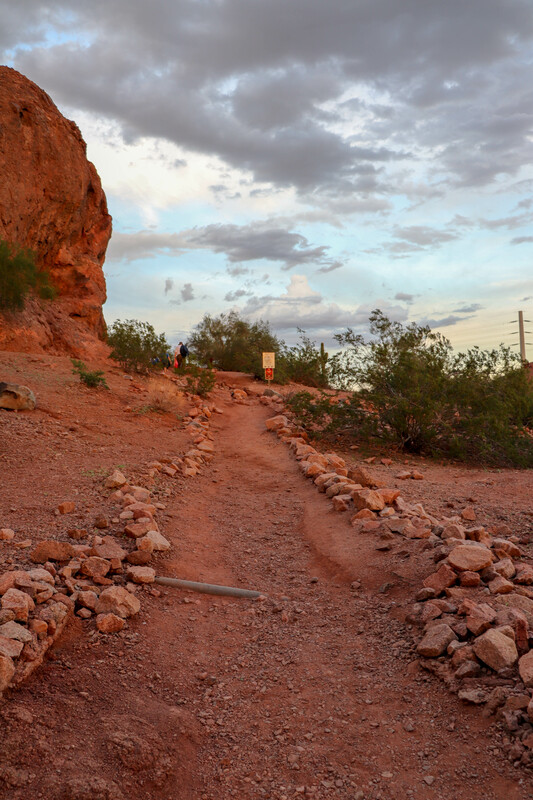 Departing Salt River, I headed for my last destination of the trip, the Hall of Flame Fire Museum, located close to Papago Park. 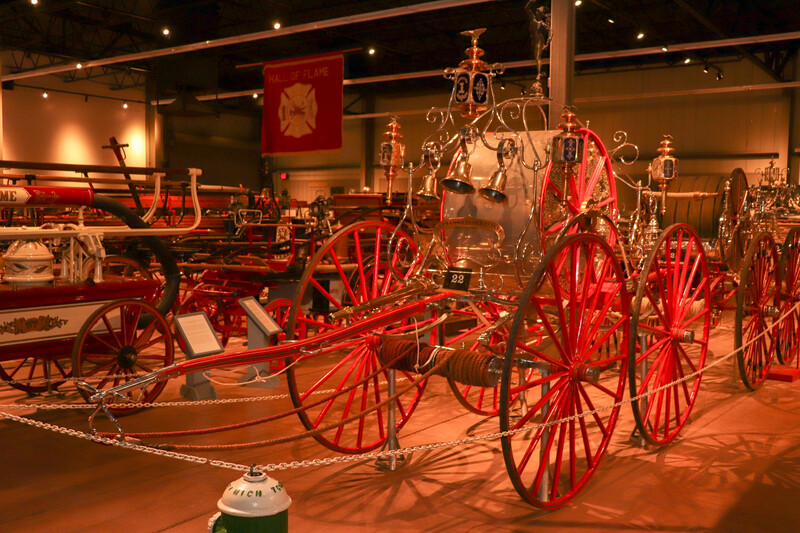 Originally founded in 1961, the Hall of Flame is the world’s largest firefighting museum, containing over 90 fire engines in five galleries. 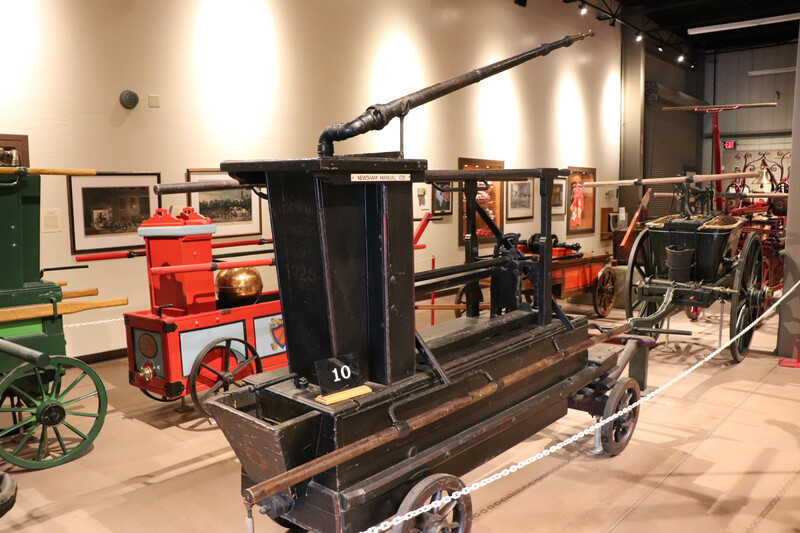 Add in over 10,000 various other artifacts, and you have quite the collection that displays everything in the world of firefighting. After paying the admission fee, I got handed a binder full of information about each fire apparatus on display, which served as my virtual tour guide. 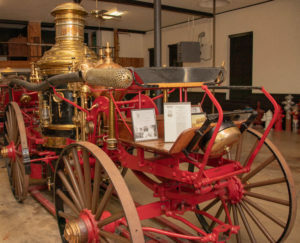 From horse-drawn wagons all the way to modern-day engines, it was super cool seeing how the technology of firefighting has evolved over the years. Close to the back of the museum, one particular engine stood out. 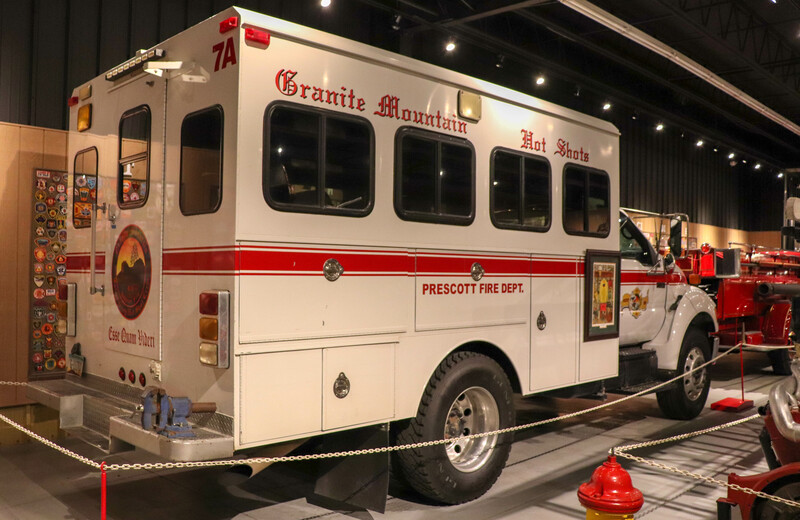 It was the New York Fire Department’s Rescue #4, which responded to the World Trade Center on 9/11. I learned that none of the 6 people that responded to the scene on this truck made it back. Checking out the New York Fire Department's Rescue Truck #4, which responded to the World Trade Center on 9/11. None of the six men that were a part of this company survived. 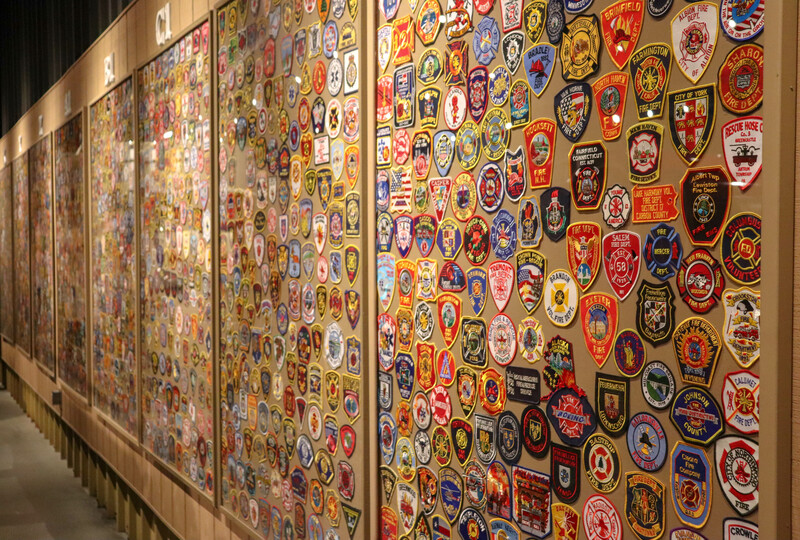 Another exhibit I found neat at the Hall of Flame was the patch wall. 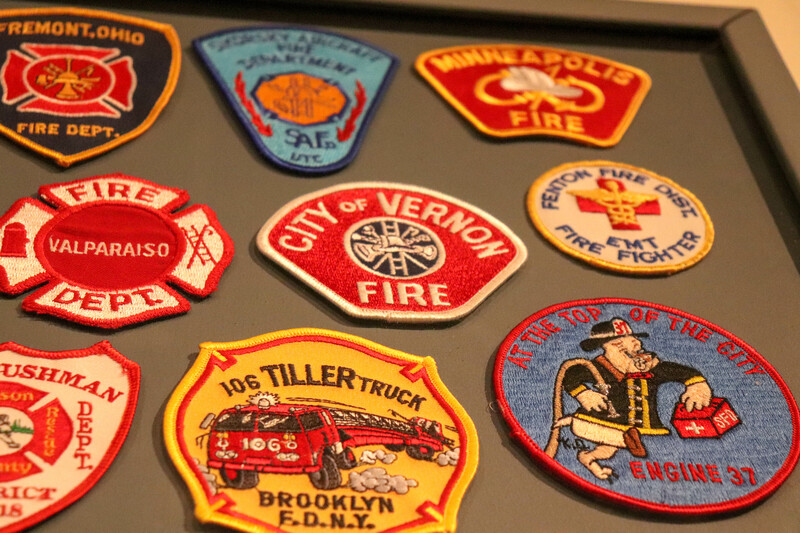 Over 4000 arm patches from fire departments across the world were displayed. I was able to find the ones used by fire departments close to where I live! 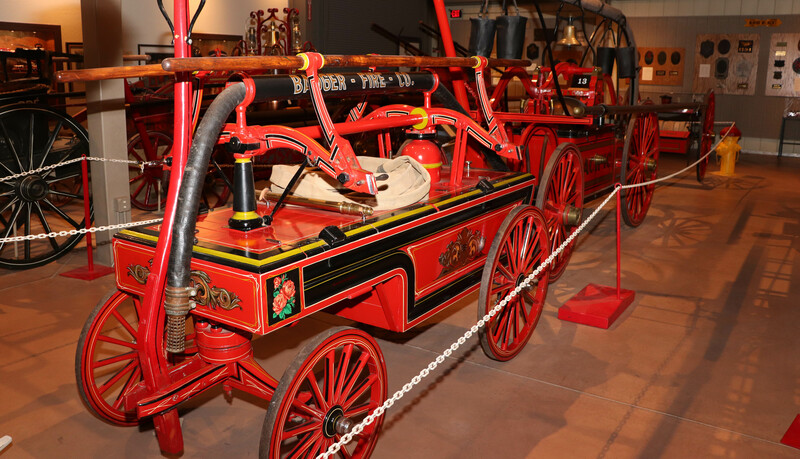 For families, this would be a great place to visit, as there is a small Fire Safety section specifically for kids, with different interactive objects to teach fire safety. On top of that, there is an antique fire engine that everyone can board for photos. After spending over an hour here checking out all the different pieces of equipment, it was time to head to the airport, since my flight was leaving in a couple of hours. I enjoyed my time at the Hall of Flame, and Phoenix in general. This city wouldn’t have been much fun to visit had it been July, but the relatively temperate fall weather made it nice for all that exploring. Every state that I’ve visited had something unique to offer, and Arizona was certainly no exception. Although “The Grand Canyon State” is now officially off the list of states I have yet to see, I know that since I haven’t visited the Grand Canyon National Park, I will be back!